Corey, I like your paper piecing hexagons you have finished. Love how you quilted it too. Nicely done. Know your glad to get them done, since it took you over several years. I'm tired just thinking about it. 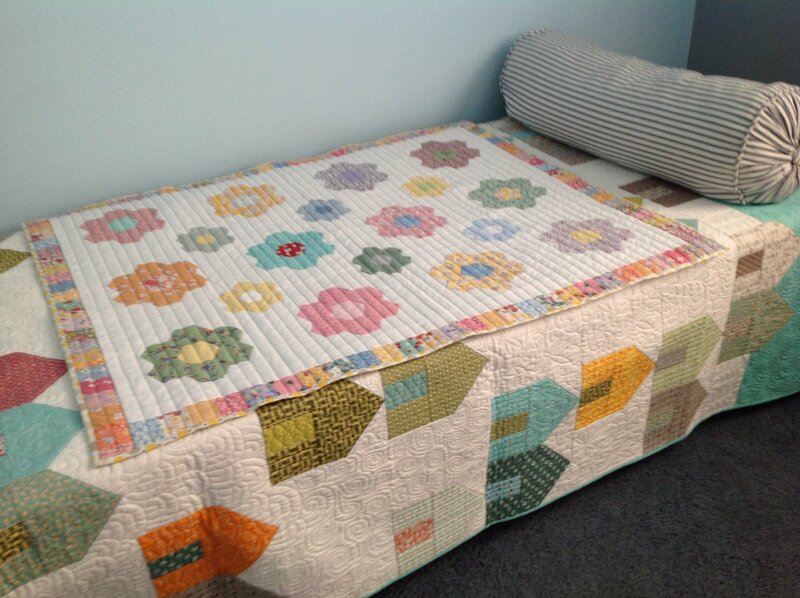 By the way, I like the quilt under the hexagon one too. Beautiful paper piecing and quilting! I really love your modern house quilt under the Garden quilt. What a beautiful way to finish your hexi qult! Perfect quilting on it! I also noticed your beach house quilt underneath as I just finished piecing one of those myself and am just waiting til I have a space to put it into my quilting que. Love to see a bigger picture of it and how you quilted the top of it too....beautiful work!